Americans are paying more attention to the dirty deeds at Planned Parenthood than ever before now that the abortion business has been caught twice selling the body parts of aborted babies. Included in that additional attention is a concern about corporate contributions by large companies and organizations to the abortion giant. As LifeNews reported yesterday, three such companies have indicated they no longer donate to Planned Parenthood after they had been listed on both Planned Parenthood’s web site as corporate funders and pro-life lists of companies that support Planned Parenthood. Those included Coca-Cola, Xerox and Ford Motor Company. Now, another company and a large nonprofit group are joining the list — saying they last donated to Planned Parenthood many years ago and no longer do so: American Express and the American Cancer Society. * A representative from Coca-Cola confirmed for The Daily Signal the company does not contribute to Planned Parenthood, nor does it match employee contributions to the organization. * “We are making sure that Ford Motor Company is not listed as a Planned Parenthood contributor on their website,” a representative from Ford told The Daily Signal. “In addition, we do not offer an employee match for charitable contributions,” the Ford representative said. It has been at least 10 years since Ford stopped matching employee gift contributions, the representative added. 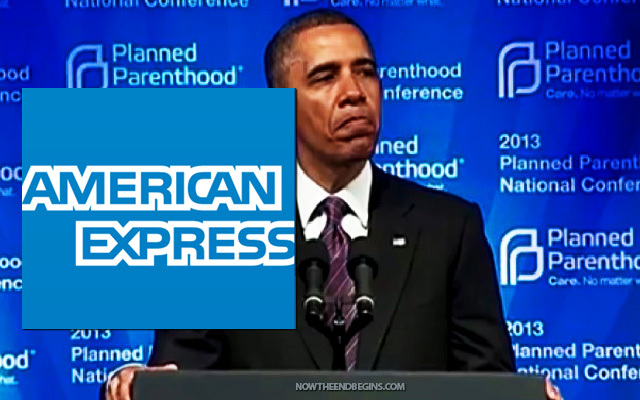 * Similarly, Xerox was listed on the Planned Parenthood website and has said it also does not donate in any way. “We checked our files for the last 20 years and have no record of Xerox Corp. contributing to Planned Parenthood,” a representative from Xerox told The Daily Signal.